Saturday morning, six am, minus 9°, pitch dark and I’m picking up pug-poop by torchlight. 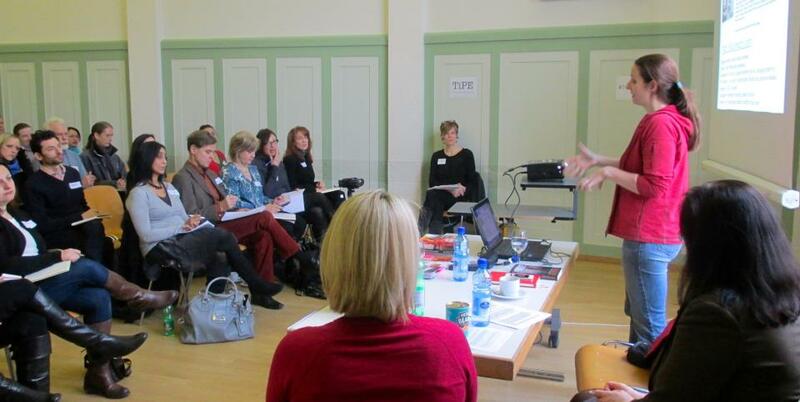 The Independent Publishing Event took place in Zürich this Saturday, hosted by Nuance Words. Three speakers took fifty participants through the practicalities of e-books, print, independent v. self-publishing, the Swiss situation, design, formatting and piranhas. We also launched the Swiss branch of ALLi (The Alliance of Independent Authors) to provide ongoing support and a sense of community for those going the indie route. 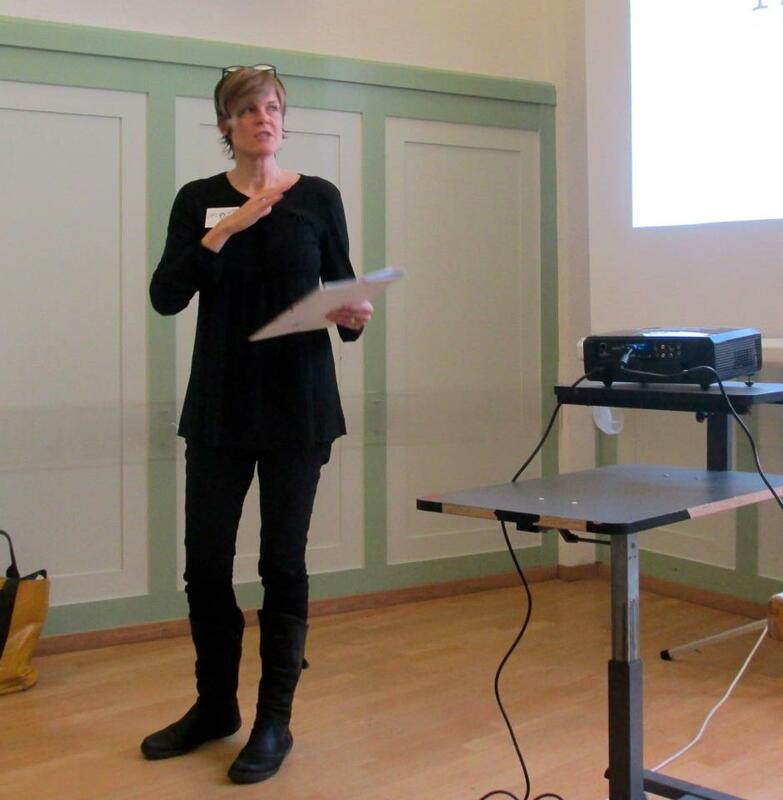 Libby O’Loghlin kicked off by illustrating the various opportunities for writers in Zürich and encouraged participants to take advantage of connections. 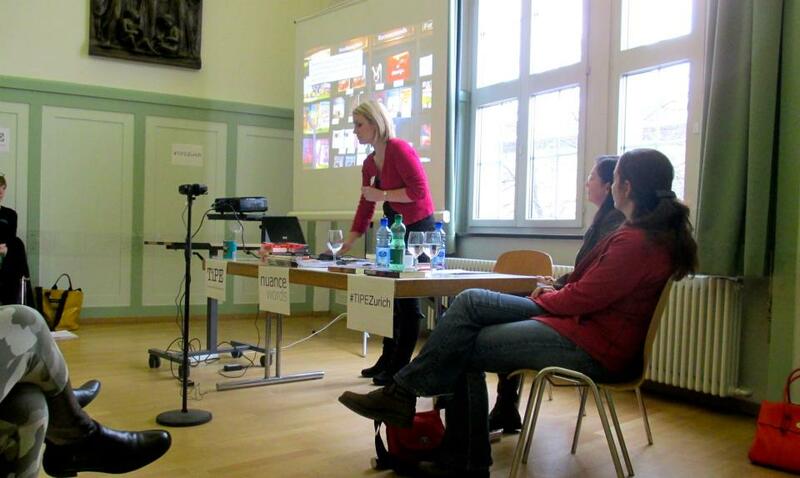 Joanna Penn delivered a dynamic overview of indie-publishing, ebooks and some invaluable tips for success. An amazing powerhouse of ideas and experience, she knows what she’s talking about. Her Olympic analogy was one of many that stayed with me. Much more useful info for all authors at The Creative Penn. … JD Smith, who presented a rock-solid argument for professional cover design and formatting. (I needed no convincing – Jane’s done all the covers and formatting for Triskele Books.) Her slides spoke volumes. Literally. And never was a concept more clearly illustrated than what she did with Baked Beans. One final point – made by each speaker: Indie authors are prime targets for scammers, service providers and sharks. Don’t dip your toe in till you’ve checked the water with Writer Beware or Preditors and Editors. And pre-dawn pug-poop? As a hunter-gatherer of writers, it’s just one of those things you have to do if you want to be serving coffee to eager authors at half eight. And when we get feedback like this, it’s all worthwhile. It was a great event and very inspirational! Looking forward to putting your advice into practice. Thank you all! Oh what a great morning!!! Thank you for this Jill, I learned so much in 3 hours, now I need to put ut in practice! You are so motivating!!! Thanks. Florence. Wow! Way cool! Thanks for linking to my blog! The event is still with me — even five days later! Great post — loved reading the roundup!